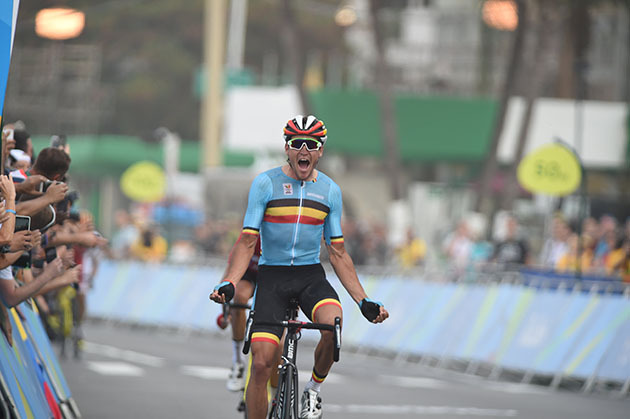 14 November, 2016, Santa Rosa, California (USA): Greg Van Avermaet will today undergo surgery to secure a small, non-displaced, distal left fibula fracture, that he sustained two days ago while training on his mountain bike. The surgery will be performed by Dr. Tim Leenders, in Antwerp. Surgery was decided, in agreement with the BMC Racing Team medical staff, in order to speed up the recovery time and allow Van Avermaet to resume training in three to four weeks. BMC Racing Team Chief Medical Officer, Dr. Max Testa said he expects Van Avermaet to make a full recovery. "Injuries are unfortunately part of a cyclist's career, something that Greg understands well having already bounced back successfully from injury this year. Following surgery Greg's training program will be readjusted according to his progress over the next two to three weeks, and in agreement with Dr. Leenders," Dr. Testa explained. "I am confident that this injury will not interfere with Greg's objectives for the 2017 season." ORICA-AIS has signed young Australian track rider Georgia Baker as their 11th and final rider for 2017, confirming the full roster ahead of an upcoming Australian camp this weekend. Baker focused on track racing this season, competing for Australia at the Rio Olympic Games in the team pursuit. The 22-year-old Tasmanian has proven her strength on the track and next year will join the Australian outfit, bringing her talent and huge potential to the road. “It is great to be able to confirm that Georgia Baker will race for the team in 2017,” said sport director Gene Bates. “We have watched Georgia over the past few years and despite focusing very hard on the track, she has shown some exceptional moments on the road. It is great to have her with us not only from a physical aspect but she also brings a great attitude with her. Georgia aligns very well with our team ethos and I have no doubt she will fit in with the group exceptionally fast. With Baker the only new addition to the roster for 2017, ORICA-AIS remains largely unchanged, something Bates feels will be a benefit the squad as they continue to build on a great team dynamic. “The team for 2017 remains quite unchanged from 2016,” Bates continued. “We know what we are getting and in terms of a well-balanced and capable team and we are excited about getting the ball rolling straight away." “The team has obviously raced a lot together now and we are fortunate that we can get straight onto business with this group." ORICA-AIS reflect on a successful season, achieving 19 victories from eight different team members which boosts the team motivation and confidence as they prepare for the season ahead.